If you like nothing better than relaxing but find it hard to do and to totally disconnect, a visit to a Hammam is what you need. If you like nothing better than relaxing but find it hard to do and to totally disconnect, a visit to a Hammam is what you need. A complete relaxation, pampering and massaging that makes it impossible not to forget the pressures of modern life. Hammam Al Andalus have recreated a five-star experience and my visit to the Hammam in Malaga was just that, an incredible feeling of well-being, cossetted and pampered. On arrival through the Moorish-arched doors the atmosphere starts to lull the senses, low-lighting, Moroccan music and aromatic essences begin your journey into the past. A time when much of southern Spain was ruled by the Moors and the hammams were gathering places for conversation and the ritual cleansing demanded by their religion. Reaching the five senses the baths are beautifully decorated with natural light dancing through the roof and candles flickering shadows across the gorgeous tiles. Essentials oils and aromas blend with the steam, low Arabic music soothes and relaxes, an assortment of teas and then comes the touch – a choice of massages, essential oils, foam, hot towels and a pure, ancient form of relaxation that can’t be beaten. The Hammam was typically a hot bath, a cold bath and a warm bath and a steam room. When you’re steamed, stimulated in the cold pool, relaxed in the hot pool and generally chilled out in the larger warm pool, where traditionally hours would be spent in conversation, you’re then ready for the ultimate massage – I choose a traditional Kessa Massage. A skin purifying cleansing on a warm stone with kessa glove and all-natural soap. Lying there already relaxed after the round of pools, warm water is poured over you from the tips of your toes to your knotted neck. Then foamy bubbles engulf your body popping, rolling, covering, warming, never have I experienced anthing more sensual yet welcoming and caressing and I imagine being in my mothers arms, carefully being bathed, cared for and loved. Looking for help planning your visit to Spain? 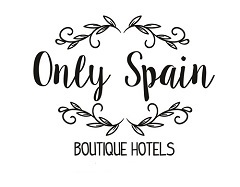 Visit Trip Planning in Spain.